Sheikh al-Yaqoubi was born in Damascus and was trained in Islamic studies by his father, who was an Imam and instructor at the Grand Umayyad Mosque. Sheikh al-Yaqoubi followed in his father’s footsteps teaching in the same mosque, and becoming a world renowned Islamic scholar of theology, jurisprudence, and Hadith. He is widely-recognised as one of the reliable authorities for the issuing of fatwas in Islam. He was one of the first scholars to speak against DA’ISH, denouncing its atrocities and showing that its actions are unIslamic. His book Refuting ISIS has become essential reading. His criticism of the Syrian government’s response to protests made his stay in Syrian untenable, and so he had to flee the country. As a teacher, he has trained several hundred Imams and teachers who work in the Arab World, the West, in the Far East and South Africa. As a spiritual guide he focuses on the spiritual well-being of Muslims and gives personal spiritual instruction to his disciples, of which he has a significant following in the UK and USA. He is a charismatic public speaker in both Arabic and English, and one of the most vocal moderate voices of Islam making a huge positive impact via his public talks, writings and numerous media appearances worldwide. Al-Allamah Shaykh as-Sayyid Muhammad al-Yaqoubi is one of the greatest scholars in the world today. 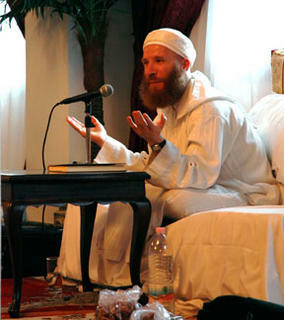 In Syria, and particularly in his home city of Damascus, the Shaykh rose to great prominence in recent times for defending the Prophet Muhammad (Allah bless him and grant him peace), and being one of the first from amongst the ulema to courageously condemn the brutal Syrian government at the start of the popular uprising. In the West, he is an extremely eminent and distinguished preacher amongst Muslim minorities, and a caller to Islam, thousands having embraced the religion through his powerful and uncompromising lectures, wise words and charismatic approach. For several years running, the Royal Aal al-Bayt Institute has included him as one of the 500 most influential Muslims in the world. Shaykh Muhammad descends from a scholarly family that traces its roots back to Morocco, and lineage to the Prophet Muhammad (Allah bless him and grant him peace). He is both a sufi and jurist, continuing the glorious legacy of his late father, the Imam of the famous Grand Umayyad Mosque in Damascus, the gnostic, and polymath of Syria, Sayyid Ibrahim al-Yaqoubi (Allah show him mercy), as well as his grandfather, the erudite Imam, gnostic and ascetic, Shaykh Ismail al-Yaqoubi (Allah show him mercy). 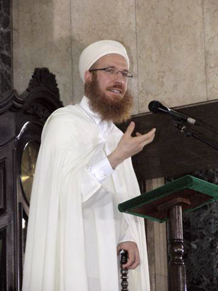 Prior to being forced into exile in 2011, Shaykh Muhammad was teaching regularly at the Umayyad Mosque, as well as being the weekly Friday speaker at the Hassan Mosque in the Abu Rumana district of Damascus. He also taught regular classes at the Mosque of Shaykh al-Akbar Muhyiddeen Ibn ‘Arabi. From an early age, Sayyid Ibrahim al-Yaqoubi supervised Shaykh Muhammad’s upbringing and tutelage, ensuring that every aspect of his son’s life was developed with the most detailed care under the guidance of the Sharia. For over 20 years, Shaykh Muhammad studied over 500 books with his father, in the sciences of the Qur’an, Hadith, Fiqh, Mantiq and many other fields. His father gave him full authority to narrate Hadith, to teach and issue fatwa. He also received many other ijazas from the most prominent scholars of Syria, including Mufti Abul Yusr ‘Abidin and Shaykh Makki al-Kittani (Allah show them mercy), granting him some of the shortest isnads on the face of the Earth. The Shaykh is fluent in several languages including Arabic, English, and Swedish, and has trained several hundreds of scholars, imams and preachers both in Syria and the West. He is the author of a number of books in Arabic, as well as several poems in both Arabic and English. He has travelled the world extensively and participated in conferences, lectures and taught several intensive programmes from Finland to South Africa, and Indonesia to the West coast of the USA. The Shaykh currently resides in Morocco with his wife and 3 children, and continues to teach the sacred sciences to scholars and students. 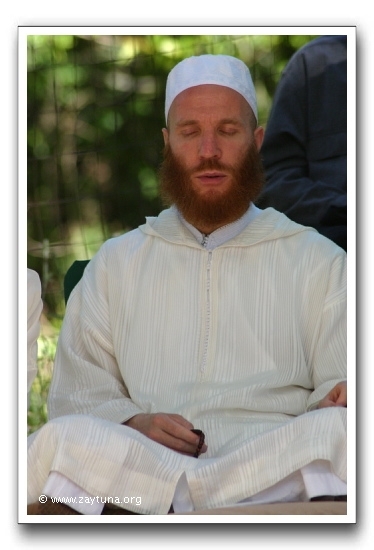 Shaykh Muhammad al-Ya`qoubi descends from a scholarly family whose lineage goes back to the Prophet, salla Allahu ‘alayhi sallam, through his grandson Sayyiduna al-Hasan, radiya Allahu ‘anhu. His lineage goes back to Mawlay Idris al-Anwar who built the city of Fes. Mawlay Idris’ lineage is as follows: he is the son of Mawlay Idris the Great; who is the son of Sayyiduna Abdullah al-Kamil; who is the son of Sayyiduna al-Hasan, the Second; who is the son of Sayyiduna al-Hasan, radiya Allah ‘anhu; who is the grandson of the Prophet, salla Allahu ‘alayhi wa sallam. Shaykh Muhammad al-Ya’qoubi’s ancestors also include some of the greatest scholars of Syria: Shaykh Sharif al-Ya’qoubi (d. 1943/1362 H.) was his father’s uncle, and Shaykh Muhammad ‘Arabi al-Ya’qoubi (d. 1965/1384 H.) was his father’s maternal uncle; both were the Malikite Imams of the Omayyad mosque. Shaykh Siddiq al-Ya’qoubi (d. 1889/1307 H.) was his paternal great-grandfather, and Shaykh Isma’il al-Ya’qoubi (d. 1960/1380 H.), a great Waliy known for his miracles, was his own grandfather. His father, Shaykh Ibrahim al-Ya’qoubi (d. 1985/1406 H.), was one of the greatest scholars Syria saw in the past 50 years; he was also the Imam and teacher of the Omayyad Mosque. Shaykh Muhammad was born in Damascus on the 13th of DhulHijja in 1382 H. As a little boy, he crawled in the Grand Omayyad Mosque and the Darwishiyya Mosque, where his father was an instructor for 40 years, and sat in the laps of some of the greatest scholars. Since he was four-years-old, Shaykh Muhammad accompanied his father in all of his visits, gatherings, and classes, both public and private, as well as at home and outside. His father took care of him and was both his teacher and spiritual master. Under his tutelage, Shaykh Muhammad followed a solid traditional curriculum since the age of four, studying, step-by-step, the major classical works on the various disciplines of the Shari’ah as well as the instrumental disciplines. Shaykh Muhammad dutifully studied with his father over 500 books in the course of 20 years, some of them from cover-to-cover and others in portions; some are multi-volumes, and others are small concise works. Some of the books Shaykh Muhammad studied under his father are as follows: most of the six books of Hadith, al-Muwatta of Yahya al- Laythi, most of al-Muwatta of Imam Muhammad with Sharh al-Laknawi, most of al-Muwaafaqaat of ash-Shaatibi, the first volume and other sections (of the five volumes) of al-Hashiya of Ibn ‘Abideen, Ihya ‘Ulum ad-Deen, al-Hidaya of al-Marghinani, Mughni al-Labeeb of Ibn Hisham, Parts of Kitab Seebawayhi, Miyar al-Ilm of al-Ghazali, several volumes of Sharh Sahih Muslim of an-Nawawi, several volumes of Irshad as-Saari of al-Qastallaani, half of Madarik at-Taweel of an-Nasafi, Hashiyat as-Saawi on Tafseer al-Jalaalayn, three volumes of Mu’jam Maqaayiis al-Lugha of Ibn Faaris, al-Bayaan wat-Tabyeen of al-Jaahiz, several volumes of Wafayaat al-Ayaan of Ibn Khallikaan, and Tabaqat ash-Shafi’iyya al-Kubraa of Ibn as-Subki, Maqamaat al-Hariri. In fact, Shaykh Muhammad wrote a thabat (detailed list) of the names of the books he studied under his father entitled, The Concealed Pearls. This book is a testament to his father’s labor of love and of the expenditure of his energy in passing on his knowledge and experience to his children, a rarity in our modern times. Throughout the years of his study, Shaykh Muhammad went through spiritual training in the Sufi path under his father, who was a great Waliy and Murshid known for his righteousness and asceticism. Shaykh Muhammad studied the major works of Tasawwuf under him, accompanied him, and was his servant, the bearer of his shoes, which he considers the key to the opening he received. The company of his father exposed him to a wealth of light, wisdom, and knowledge, an experience that was far beyond what one may attain from books or from occasional meetings with teachers. In the summer of 1973, at the age of eleven, Shaykh Muhammad started teaching at the Darwishiyya Mosque where he taught a regular Qur’an and Tajwid class composed of a group of boys. He began giving public speeches in Ramadan after ‘Asr prayer in the same mosque at the age of twelve. At the age of fourteen and a half, he made his debut as Friday speaker in the mosque known as as-Saadaat, where Sayyiduna Mu’aadh ibn Jabal is buried. 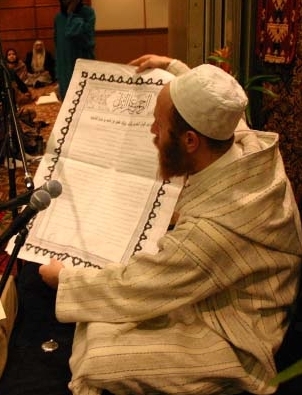 Shaykh Muhammad memorized Jawharat at-Tawhid when he was five-years-old, al-Arba’in an-Nawawiyya when he was six, and, later on, dozens of famous didactic odes and poems along with most of the Qur’an al-Karim. He also memorized considerable parts of al-Mufaddaliyyaaat and al-Hamaasah of Abi Tammaam. The first poem he wrote was at the age of thirteen, and it was a plea to the Prophet salla Allahu ‘alayhi wa sallam. His collection of poetry is growing, and a few poems in English have been added to it. Amongst the scholars who gave him ijaza (the authority to narrate Hadith through their chains) were the Malikite Mufti of Syria, Sayyid Makki al-Kittan; Shaykh Muhammad Abul-Yusr ‘Abideen, the previous Mufti of Syria; the great Murshid, Shaykh Ali al-Boudaylimi of Tlemsan; Shaykh Zayn al-‘Abideen at-Tounisi; Shaykh ‘Abdul’Aziz ‘Uyun as-Soud; Shaykh Muhammad Wafa al-Qassaab; and several others. Shaykh Muhammad’s father, may Allah shower him with His Mercy, also wrote several ijazas for him, giving him full authority to narrate Hadith. 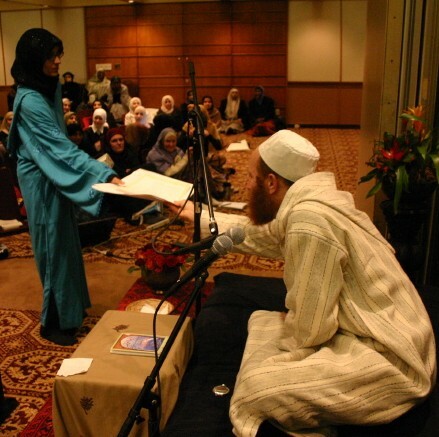 His father also issued for him ijazas qualifying him to teach the Shari’ah and to be a Murshid in the Sufi path. This was affirmed by several shaykhs of the path, the last of whom is Shaykh AbdurRahman ash-Shaghouri in Damascus, may Allah extend his life. 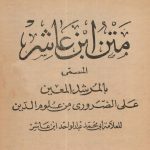 Shaykh Muhammad published his first article when he was seventeen-years-old in al-Majalla al-‘Arabiyya in Riyadh and his first book when he was 23. At the age of 20, some of his Friday speeches were broadcast live through the Syrian Radio station. Three of his books in Arabic have been published besides several articles in Arabic, English, and Swedish. The list of his unpublished books contains more than 20 works in Arabic. Shaykh Muhammad was formally appointed as Friday speaker (khatib) in 1981 in central Damascus. Two years later, in 1983, he was appointed as Imam and was commissioned to teach the Sacred Knowledge. In early 1986, upon the demise of his father (may Allah have mercy on him), Shaykh Muhammad was given his father’s post as an instructor in the Fatwa Administration. That same year, he began teaching Maliki fiqh at the Institute of the Students of Sacred Knowledge (which is now the Institute of Sheikh BadrudDeen al-Hasani). While in Damascus, in addition to teaching native Syrians, Shaykh Muhammad taught students from various parts of the world; many of them are now Imams and teachers in Malaysia, the Philippines, Algeria, Mali, Gambia, and other countries. Amongst the books he taught, partially or completely, are Sahih al-Bukhari (which he taught twice), Sahih Muslim, al-Muwatta (which he also taught twice), ash-Shama’il al-Muhammadiyya (which he taught four times), the commentary of al-Bajuri on al-Jawhara, an-Nasafi’s Madarik at-Tawil, Jawahir al-Iklil Sharh Mukhtasar Khalil, al-Kaafi of Ibn AbdulBarr, al-Hikam of Imam ibn Attaa Allah, Sharh ar-Risala of Imam al-Qushayri, al-Marghinani’s al-Hidaya, Sharh al-Bayqouniyya, Sharh ar-Rahabiyya, Sharh al-Jazariya, ash -Shifa of Qadi ‘Iyaad, and Ibn Hisham’s commentary on the Alfiyya of ibn Malik. Besides serving as a Friday speaker and instructor until 1990, Shaykh Muhammad pursued his academic studies at the University of Damascus, Faculty of Shari’ah, where he frequented some lectures and benefited from several professors between 1982-1985. He also received a degree in Arabic literature in 1987 and completed a two-year study of philosophy at the Arab University of Beirut. In 1991, Shaykh Muhammad joined the PhD program of linguistics at Gothenburg University in Sweden, Department of Oriental Studies, where he also worked as a researcher and a teacher of classical Arabic literature for a few years until 1996. 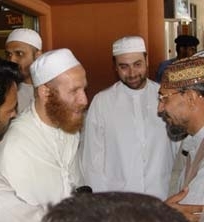 Shaykh Muhammad worked in Dar al-Athar al-Islamiyyah in Kuwait in 1990 as Research Editor, and, between 1998-1999, as Assistant Director for Research and Studies, a position he was awarded due to his keen interest in the studies of ancient Arabic manuscripts and paleography. He eventually resigned to devote his time to the Sacred Knowledge and to serve its students in teaching and writing. 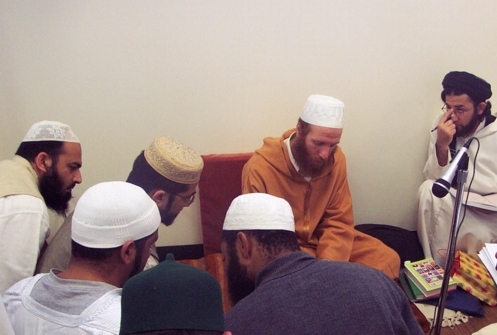 While in school, Shaykh Muhammad studied French as a second language. It was in 1988 that he began learning the basics of English and German. At the age of 30, upon traveling to Sweden, he realized how vital is the English language in the work for Islam, so he moved to England at that time and completed the FCE, CAE, CCS, and CPE Cambridge courses in English within a year before returning to Sweden where he continued his studies in Swedish. In Sweden, Shaykh Muhammad served the Muslim community of Gothenburg as Imam, where he struggled for the establishment of Islam in the country. His work there was documented in several newspaper articles and interviews; it included teaching Muslims, giving presentations about Islam, and engaging in multi-religious dialogues and debates on political and social issues, such as European-Islamic dialogue, atheism, etc.. Shaykh Muhammad was hosted by all of the major Swedish universities and Institutions and was co-founder of the Nordic Center for Inter-religious dialogue (NCID) in Gothenburg. He represented Swedish Muslims in several international conferences until he returned to Syria towards the end of 1996. In 1999, the Swedish Islamic society in Stockholm (SIS) chose him as the Mufti of Sweden, forwarding to him the burning issues of fiqh that concern Swedish Muslims. In the year 2000, SIS elected him as a permanent founding member of the Swedish Islamic Academy in Stockholm in recognition of his work in Sweden to which he continues to commit through lectures and classes during his visits to Scandinavia. 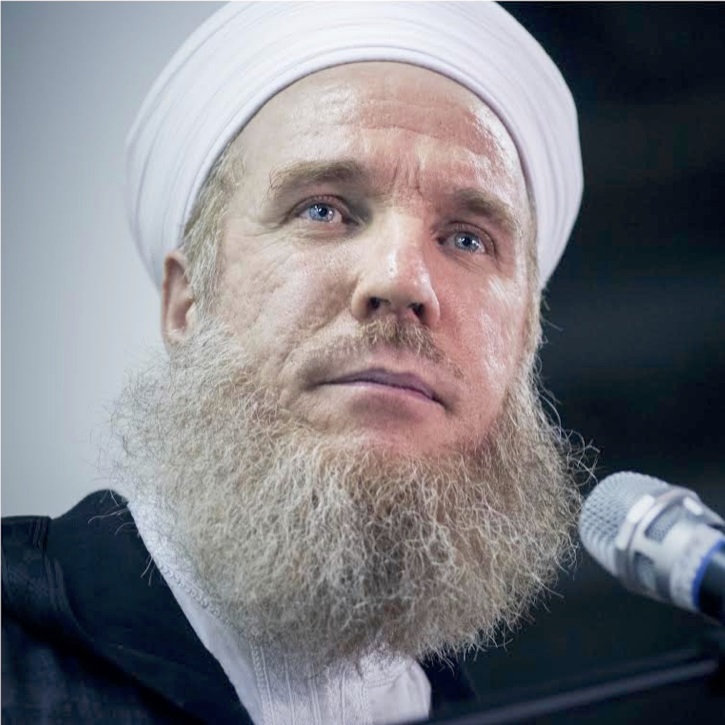 Besides working in Syria and Sweden, Shaykh Muhammad participated in conferences, delivered lectures, and gave Friday speeches in Lebanon, Egypt, Jordan, Kuwait, Saudi Arabia, Algeria, Denmark, Finland, Norway, Switzerland, Germany, France, Spain, England, Canada, and the United States. His first tour to the US took place in the spring of 1997. Since then, he has been frequenting North America and is now hosted by Zaytuna Institute in California where he has been teaching since the past year. In his efforts to revive the Tradition, he has taught Hadith, including the Muwatta’ and Sahih al-Bukhari, and he intends to finish all six books in the coming terms in sha Allah. Shaykh Muhammad is married and has three children, Aicha, who is four; Ibrahim, who is two; and Ismael, who is four-months-old. He is one of the leading scholars of Islam in the world, a true man of Allah with encyclopedic knowledge. He is one of the most influential scholars in the West today; his words have transformed the lives of thousands of people. He studied seven languages; and is a charismatic public speaker in both Arabic and English. He is a descendant of the Prophet PBUH, from a family of scholars that have taught the sacred knowledge for centuries. Three of his ancestors were Imams in the Grand Omayyad Masjid in Damascus, including his father, the great erudite scholar and master of both shari’a and tasawwuf, the late Shaykh Ibrahim al-Yaqoubi. He was born in Damascus in 1382H, accompanying his father until he died in 1406H. He was his servant, disciple and student. He was trained in the Sufi path by his father and was qualified as a murshid. He studied under him the major works of the sacred knowledge, memorized many texts and didactic poems. His father gave him several ijazas. Amongst the scholars who also gave him ijaza are: the Hanafite Mufti of Syria, Shaykh Muhammad Abul-Yusr ‘Abideen; the Malikite Mufti of Syria, Sayyid Makki AlKittan; Shaykh ‘Ali Boudaylimi of Tiemsan; Shaykh Saalih Al-Khateeb. He made his debut as Friday speaker at the age of 14, was appointed as Friday Imam and speaker at the age of 17 and as a teacher of the sacred knowledge at the age of 20. 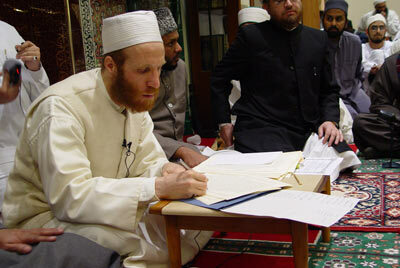 Since then, he has been teaching the sciences of the shari’a such as ‘aqeeda, tafsir, hadith, fiqh, usool, grammar, etc. to students of all levels. He taught Tafsir Al-Nasafi, Sahih alBukhari five times, Sahih Muslim, al-Muwatta six times, al-Shama’il of al-Tirmidhi 16 times, Sharh Al-Fiqh Al-Akbar, al-Tahawiyya over 20 times, Sharh al-‘Aqaa’id alNasafiyyah, Ihya ‘Uloom al-Din, al-Hikam of Ibn ‘Atta’illah, al-Shifa of Qadi ‘Iyaad, alQudouri, al-Hidayah, Maqaamt al-Hariri, Mughni al-Labeeb and many other books. As an authority of hadith, his isnads i.e. chains of transmission, are of the highest amongst scholars of our time. Students and scholars visit him in Syria or when he travels to hear the masalsalaat and take ijaza in narration of hadith. Between 1992 and 2001, he worked in Kuwait, Sweden and USA; and traveled across the world teaching the sacred knowledge and calling people to Allah. He toured many countries in North America and Europe, the Far East and Arab World. Thousands of people took shahada at his hands and many repented after listening to him. He now resides in Damascus and teaches in the Masjid of Shaykh Muhyiddeen Ibn ‘Arabi, and in his home; while several of his students are spreading the sacred knowledge and reviving the way of the Ulema around the world. He is married with three children. he was 35 when i met him. he began learning english at the age of 30. and he was busting out shakespearean sonnets on us…schooling us on the subtleties of english and arabic grammar. just a fountain of knowledge. like. العلامة العارف بالله الشيخ محمد أبو الهدى اليعقوبي أحد الأعلام المجددين للدين في هذا العصر، سيد علامة محدث فقيه صوفي داعية مجاهد من دمشق، له نشاط واسع في أوروبا وشمالي أمريكا ودخل على يديه في الإسلام نحو ألف ومائتين وتاب الآلاف بعد الاستماع إلى خطبه. ملم بعدد من اللغات منها الإنجليزية والفرنسية والسويدية. عرف بالحكمة والجرأة والتحقيق في العلم والتدقيق في الفتوى. كان أول عالم في دمشق يؤيد ثورة الش…عب على الظلم والاستبداد حيث أفتى بوجوب عزل الرئيس لعدم أهليته، ثم أفتى بإعلان النفير العام نصرة للمدن المحاصرة في سورية. مدرس في الجامع الأموي بدمشق وخطيب جامع الحسن في حي أبو رمانة. زلهب بخطبه حماس الناس قبل الثورة ثم في الأشهر الأولى للثورة إلى أن قام النظام بعزله ومنعه من الخطابة والتدريس. سيد ينتسب إلى الدوحة النبوية المشرفة وهو من ذرية مولانا إدريس الأنور، ومن بيت علم وولاية ومجد بني على الجهاد والعلم والزهد برز منه عدد من العلماء والأولياء، منهم والده العلامة الكبير الشيخ إبراهيم اليعقوبي، وجده العارف بالله السيد إسماعيل اليعقوبي (-1380هـ)، وخال أبيه الشيخ محمد العربي اليعقوبي (-1385هـ)، وعم أبيه العارف الشهير الشيخ محمد الشريف اليعقوبي (-1362هـ)، وقد تولى ثلاثة من آل بيته إمامة المالكية في الجامع الأموي الكبير بدمشق، آخرهم والده الذي كان إماماً للمالكية ثم للحنفية، ومدرساً في الجامع الأموي، وفي جامع درويش باشا وجامع العثمان. ولادته ونسبه: ولد بدمشق سنة ١٣٨٢ / ١٩٦٣ والده علامة عصره الشيخ إبراهيم اليعقوبي وجده العارف بالله السيد إسماعيل اليعقوبي. شريف حسني، ينتهي نسبه إلى مؤسس دولة الأدارسة في المغرب مولانا إدريس الأنور بن إدريس الأكبر بن عبد الله الكامل بن الحسن المثنى بن الحسن السبط بن سيدنا علي وسيدتنا فاطمة الزهراء، وينتشر بيت اليعقوبي في المغرب والجزائر، وقد هاجر جد جده العارف بالله السيد محمد الحسن اليعقوبي سنة 1263هـ. من الجزائر إلى دمشق وأقام بها آل اليعقوبي من ذلك الوقت. طلبه للعلم: طلب الشيخ محمد اليعقوبي العلم على والده منذ صباه ولازمه ملازمة تامة، فابتدأ بحفظ القرآن وبعض متون الحديث والمتون الشهيرة وعيون القصائد من الشعر الجاهلي والإسلامي، فحفظ المعلقات واللاميات الشهيرة ومقصورتي ابن دريد، ومنتخبات من الحماسة والمفضليات، وجياد المطولات من أشعار القدماء والمحدثين، وحفظ ديوان والده، وابتدأ قرض الشعر وهو فتى في الثانية عشرة من عمره. وقد حفظ في صباه: الأربعين النووية، ومختصر البخاري لابن أبي جمرة، ومعظم رياض الصالحين، ومن المتون: الجوهرة (وهو ابن خمس سنين)، ثم الجزرية، والرحبية، والبيقونية، والسلم، ونظم ابن عاشر، وبدء الأمالي، وألفية ابن مالك، ومعظم ألفية السيوطي في الحديث، ونظم مختصر المنار، وقسماً من الشاطبية، ومنظومات والده. وقرأ على والده أمهات الكتب في علوم الشريعة وعلوم الآلات، وقد خدم والده وانتفع بعلمه وإرشاده وأحواله، فقد كان العلامة الشيخ إبراهيم اليعقوبي علامة محققاً من طراز قلَّ نظيره، ولم يترك بعده مثله، وكان إماماً في الزهد والورع، مؤثراً للعزلة، وقد زاد ما قرأه الشيخ محمد على والده في تسع عشرة سنة على خمسمائة كتاب ورسالة وجزء ومتن. وقد قرأ على والده بعض نوادر الكتب والفنون في العلوم العقلية والنقلية، من ذلك: في الحديث: الكتب الستة، والموطأ (بروايتي يحيى الليثي، ومحمد بن الحسن الشيباني)، وفي العقيدة: شروح الجوهرة: لابن المصنف والباجوري والصاوي، وحاشية الدسوقي والباجوري على أم البراهين، وشرح الطحاوية للغنيمي، وشرح العقائد النسفية للسعد (مع مراجعة الحواشي الشهيرة)، وأصول الدين للبغدادي، وفي الأصول: معظم شروح المنار لابن ملك وابن العيني وابن عابدين، وقسماً من التلويح على التوضيح ومن شرح المرآة لمنلا خسرو، وقرأ عليه جميع كتاب الموافقات للشاطبي، وفي الفقه الحنفي: مراقي الفلاح، واللباب، والاختيار، والهداية، ونصف حاشية ابن عابدين، ومختصر شرح المجلة للأبياني، وفي الفقه المالكي: شرح ابن عاشر (المعروف بميارة الصغرى)، وشرح الرسالة لأبي الحسن، والفواكه الدواني، وشرح العزية والعشماوية، وجزءاً من أسهل المدارك، وجميع الشرح الصغير على أقرب المسالك للدردير، وقسطاً من حاشية الدسوقي على مختصر خليل، ومجلداً من المدوَّنة. وفي المنطق: شرح إيساغوجي لزكريا الأنصاري، وشرح السلم للدمنهوري، ومعيار العلم للغزالي، والمنطق المشجر، ونصف شرح التهذيب للخبيصي، وقسطاً من البرهان للكلنبوي، وفي النحو: أقساماً من شروح الألفية لابن عقيل وابن هشام والأشموني بحاشية الصبان، ونصف المغني لابن هشام، وقسطاً من شرح الكافية للرضي، وفي البلاغة: الإيضاح للقزويني، ومجلداً من الطراز ليحيى العلوي، وفي اللغة: نصف معجم مقاييس اللغة لابن فارس، وفي الأدب: شرح المعلقات السبع، ومقامات الحريري، ومعظم البيان والتبيين للجاحظ، ونصف الكامل للمبرد، وفي الوضع: شرح رسالة الوضع العضدية، وخلاصة علم الوضع، وقسطاً من شرح عنقود الزواهر. وفي آداب البحث والمناظرة: رسالة طاش كبري زاده، ورسالة الشيخ محمد محيي الدين عبد الحميد (وقد نظمها شعراً وقت قراءتها على والده)، وشرح الولدية، وفي الميقات: رسالة الحطاب. دراساته الأكاديمية: حصل على الثانوية العامة سنة 1980م، ثم على الثانوية الشرعية سنة 1982م، ثم على الإجازة باللغة العربية (الليسانس) من جامعة بيروت العربية، وقد حصل على هذه الشهادات بطريق الدراسة الحرة، فقد كان ملازماً لوالده، وقد قبل في قسم الدراسات العليا بجامعة دمشق وجامعة غوطبورغ، إلا أنه آثر متابعة طريق والده في نشر العلم، وبخاصة بعدما رأى من تهافت الشباب من طلبة العلم على الشهادات، وقد زهد في الدكتوراه بوجه خاص بعد أن أكرمه الله تعالى بدخول الناس في الإسلام على يديه بعد إتقانه للإنجليزية. وقد تتلمذ على يديه عدد من أفاضل الدكاترة والأساتذة والشيوخ. إجازاته: كتب له والده عدة إجازات عامة وخاصة، واستجاز له بالرواية من بعض الأعلام ، فأجازه مفتي الشام الشيخ محمد أبو اليسر عابدين، ومفتي المالكية السيد محمد المكي الكتاني، والشيخ زين العابدين التونسي، والشيخ عبد العزيز عيون السود، والشيخ محمد صالح الفرفور، والشيخ محمد صالح الخطيب، والشيخ محمد وفا القصاب. وممن أجازه من علماء الآفاق: أمين الفتوى في لبنان الشيخ مختار العلايلي، وأمين الفتوى في حماة الشيخ محمد صالح النعمان، والعارف الشيخ علي البوديلمي من تلمسان، والشيخ محمد الفيتوري حمودة من ليبيا، والشيخ عبد الرحمن الباقر الكتاني من المغرب، وقد ألف الدكتور محمد أكرم الندوي ثبتاً في أسانيده الحديثية هو قيد الطبع. وظائفه: اشتغل بالخطابة والتدريس في حياة والده وهو مازال يافعاً، وناب عن والده في الخطابة والتدريس وهو في الخامسة عشرة، وتفرغ بعد وفاته لتدريس العلوم الشرعية لطلاب العلم في المساجد والبيوت والمعاهد الشرعية. 1980م-1990م: خطيب جامع الطاووسية. 1983م-1990م: مدرس ديني في إدارة الإفتاء العام. 1986م-1990م: مدرس للفقه المالكي في معهد الشيخ بدر الدين الحسني. 1990م: اشتغل مراجعاً للبحوث في دار الآثار الإسلامية بالكويت. 1991م-1996م: اشتغل هذه المدة بدراسة عدد من اللغات الأجنبية، فأتقن الإنجليزية في بريطانيا، والسويدية في السويد (كتابة ومحادثة)، وألم بالفرنسية واللاتينية، ودرس شيئاً من الألمانية في ألمانيا. واشتغل باحثاً ومدرساً لآداب اللغة العربية في معهد اللغات الشرقية من جامعة غوطبورغ وإماماً للجمعية الإسلامية. نشاطاته في الدعوة والتعليم: ابتدأ أول رحلاته إلى الولايات المتحدة الأمريكية في الدعوة إلى الله تعالى عام 1997م، وأول رحلاته إلى بريطانيا سنة 1998م، حيث انطلق -بعد إتقانه للإنجليزية- يدرس العلوم الشرعية، ويعظ الناس، ويبين مفاسد الحياة الغربية، ويدعو إلى التمسك بالسنة، والاقتداء بالنبي -صلى الله عليه وسلم- ويحث الناس على طلب العلوم الشرعية. وقد كانت له إلى شمالي القارة الأمريكية (إلى سنة 2007م) خمس وعشرون رحلة، استضافه خلالها الداعية الأمريكي الشيخ حمزة يوسف في معهد الزيتونة نحو سنتين، وقرأ عليه عدداً من الكتب والمتون، واستضافه المركز الإسلامي بمدينة نيويورك في شهر رمضان ست سنوات متتالية، حيث ترك أثرا كبيرا في ولايات الساحل الشرقي لأمريكا. وقد أقرأ في أمريكا عددا من أمهات الكتب منها صحيح البخاري والموطأ والشمائل للترمذي والشفا للقاضي عياض والحكم العطائية وإحياء علوم الدين وقواعد التصوف لأحمد زروق والعقيدة الطحاوية واللباب في الفقه الحنفي والإشاعة لأشراط الساعة والطب النبوي لابن القيم وفتوح الغيب ونخبة الفكر وشرح الرحبية وغيرها. وسافر إلى معظم الدول الأوروبية، وماليزيا، وأندونيسيا، وسنغافورة، والباكستان، وجنوب إفريقية، والدول العربية. وهو خطيب باللغة الإنجليزية فصيح يستمع إليه الآلاف، يترك أثراً في نفوس سامعيه ويشدهم إليه، وقد أسلم على يديه أكثر من ألف ومائتين، وتابت على يديه بفضل الله تعالى جموع غفيرة، وله نحو خمسين خطبة ومحاضرة منشورة باللغة الإنجليزية على الأقراص المدمجة. وهو أديب وشاعر ، له عدة دواوين لم تطبع منها ديوان صوفي، وله ديوان شعر باللغة الإنجليزية، كما ألف عددا من الكتب نشر منها اثنان. وهو يدريس العلوم الشرعية للطلاب للأعاجم، فيبدأ بقراءة النص بالعربية وترجمته إلى الإنجليزية، ثم يعلق عليه ويشرحه حسبما يقتضيه الحال، وقد أقرأ طلاب العلم الأعاجم عدداً من الكتب منها: الشمائل للترمذي ثماني مرات (وأقرأها سرداً روايةً عشر مرات أخرى)، والجامع الصحيح للبخاري وموطأ الإمام مالك رواية يحيى الليثي كلاهما مع الترجمة والشرح (وكان أول من أقرأهما في الولايات المتحدة الأمريكية). وأقرأ أيضاً بهذه الطريقة مع الشرح: الأربعين النووية، والعقيدة الطحاوية (اثنتين وعشرين مرة)، وجوهرة التوحيد مع خلاصة حاشية الباجوري، ونخبة الفكر، وشرح البيقونية، وشرح الرحبية، ورسالة ابن أبي زيد القيرواني، والمرشد المعين لابن عاشر، ونحو نصف كتاب اللباب شرح الكتاب، ونصف كتاب الطب النبوي، والإشاعة لأشراط الساعة، والبردة، والهمزية، والشفا للقاضي عياض (مراراً)، والتراتيب الإدارية لعبد الحي الكتاني، والخصائص الصغرى للسيوطي، ورسالة (أيها الولد)، وأبواباً عديدة من الإحياء، ومعظم الحكم العطائية بخلاصة شرح ابن عجيبة، وتاج العروس، ومفتاح الفلاح لابن عطاء الله، وفتوح الغيب للجيلاني، والآداب المرضية للبوزيدي، وآداب الصحبة للشعراني، وقواعد التصوف والإعانة لزروق، وتعليم المتعلم للزرنوجي، وإيساغوجي في المنطق. عنايته بالحديث النبوي الشريف: اشتغل بإحياء علوم الرواية والإسناد والإجازة في بلاد الغرب، ووهبه الله تعالى ملكة في قراءة كتب الحديث وصبراً على الإقراء الساعات الطوال من غير كلل ولا ملل. وهو يقرأ الحديث رواية مع شرح الغريب وضبطه وضبط أسماء الرجال وتصحيح النسخ. فأقرأ الجامع الصحيح للبخاري كاملاً أربع مرات: الأولى: كانت بدمشق سنة 1997م في تسعة عشر يوماً، والثانية في معهد الزيتونة بكاليفورنية سنة 2001م في شهرين مع الترجمة والشرح الموجز، والثالثة في جامع (هنسلو) بلندن سنة 2003م في عشرة أيام، والرابعة في دمشق سنة 2004م في ثمانية أيام مع الضبط وإدراج بعض الفوائد الحديثية والتعليقات المهمة. وأقرأ المسند الصحيح للإمام مسلم بدمشق مرتين: الأولى سنة 1997م في عشرة أيام، والثانية سنة 2007م في تسعة أيام. وأقرأ جامع الترمذي والسسنن لأبي داود وأقرأ الموطأ برواية يحيى الليثي ست مرات، والشمائل للترمذي عشرين مرة في عدد من البلاد، منها: المدينة المنورة، ودمشق، وغرناطة، ونيويورك، ولندن، وأقرأ رياض الصالحين، واللؤلؤ والمرجان، ومختصر البخاري، ونحو مائة جزء من الأجزاء الحديثية، وهو لا يمنح الإجازة العامة بالرواية إلا لمن قرأ عليه كتاباً أو جزءاً في الحديث. فتح داره لطلاب العلم يقرئ الدروس الخاصة، وقد قصده العلماء وطلبة العلم من الهند والمغرب والجزائر وغيرها للرواية عنه وأخذ الإجازة وسماع المسلسلات، وله أسانيد عالية في رواية كتب الحديث والمسلسلات كحديث الرحمة المسلسل بالأولية، وقد اعتنى بالأسانيد عناية خاصة، وهو يستظهر معظم الأسانيد المشهورة لأهل المشرق والمغرب المتصلة بالأئمة الحفاظ، وكذلك أسانيد المسلسلات المشهورة، وهو معروف باستظهاره لأكثر متون أحاديث الصحيحين والموطأ، يحسن الاستشهاد بالأحاديث النبوية في خطبه ودروسه فيعزو الحديث لمخرجه ويبين الضعيف منه. وقد استجازه بعض الأعلام من العلماء في أنحاء العالم الإسلامي. يتبع في تدريسه بالعربية طريقة والده وهي طريقة تعتمد على التحقيق لا على السرد، فيبتدئ بضبط النص، وحل العبارة، واستيفاء الكلام في المسألة مع تخريج الشواهد وتصحيح الأقوال. وله في دمشق دروس في الرسالة القشيرية وسنن النسائي، وإحياء علوم الدين والبيان والتبيين وغيرها. متفرغ لتدريس العلوم الشرعية والعربية في داره وفي جامع الشيخ محيي الدين (السليمية) حيث يقيم الدرس العام في الرسالة القشيرية يوم الجمعة بعد العشاء، وهو يخطب الجمعة في جامع الحسن في حي أبو رمانة بدمشق، وله درس في العقيدة الإسلامية في الجامع الأموي الكبير. اضطر بعد منعه من الخطابة والتدريس من قبل السلطات السورية إلى مغادرة سورية حيث يتنقل بين عدة بلاد مساهما في نصرة الشعب السوري في ثورته وقد كانت له في ذلك مقابلات ومقالات وبيانت ساهمت إلى حد كبير في إلهاب الحماس في قلوب أبناء الشعب للانضمام للثورة. Shaykh Muhammad Abul Huda al-Yaqoubi compte parmi les plus grands savants de notre époque. 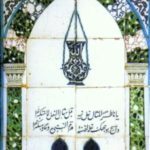 D’origine chérifienne (Shaykh Muhammad est un descendant direct du Prophète béni [‘alayhi salatu wassalam], par l’intermédiaire de Sayyiduna al-Hasan fils de ‘Ali ibn Abi Talib), sa famille émigra de l’Algérie vers la Syrie il y a plusieurs générations. 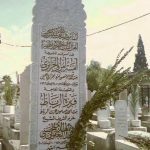 Dès son plus jeune âge, Shaykh Muhammad fréquenta la Grande Mosquée des Omeyyades à Damas, Syrie – où son père enseigna pendant 40 ans – et put s’asseoir sur les genoux de certains des plus grands savants de l’époque. Sous la tutelle de son père, il suivit, dès l’âge de quatre ans, un solide cursus de sciences traditionnelles, comprenant l’étude des grandes œuvres classiques traitant de la Shari’a et des disciplines connexes (grammaire, rhétorique etc..). 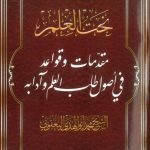 Il reçut des ijazas (certificats d’autorisations) en sciences du hadith, de la main des plus grands mouhaddithoune de Syrie. Shaykh Muhammad poursuit ensuite ses études universitaires au département de Shari’a de l’Université de Damas. 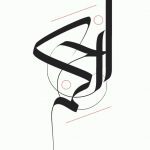 Après avoir obtenu une licence en littérature arabe en 1987, il étudie la philosophie pendant deux ans à l’Université arabe de Beyrouth, avant d’intégrer, en 1991, le programme doctoral de linguistique du département d’études orientales de l’Université de Göteborg en Suède, où il fut par ailleurs chargé de recherche et enseigna les lettres classiques de la langue arabe. 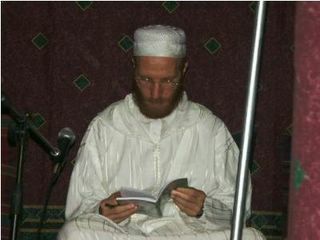 Le Shaykh dirigea également le pôle d’étude et de recherche de la maison d’édition Dar al-Athar al-Islamiyyah au Koweït en 1990. Après avoir été Imam à Göteborg et œuvré sans relâche pour l’Islam en Suède, la société islamique suédoise de Stockholm le désigna mufti pour la Suède en 1999. Des étudiants et des savants affluaient du monde entier en Syrie pour lui rendre visite, ainsi qu’au cours de ses voyages, pour entendre la malsalslaat* ou obtenir une autorisation (ijaza) de narration d’un hadith. Les gens qui ont embrassé l’Islam ou qui se sont repentis par sa cause (en écoutant ses discours) se comptent par milliers, et aujourd’hui, un grand nombre de ses étudiants parcourent le monde pour diffuser la Loi sacrée et revivifier le curriculum des Ulémas. On notera par ailleurs que le Cheikh commença à enseigner le tajweed (récitation coranique) à l’âge de onze ans, prononça son premier discours public un an plus tard, et délivra sa première khutba (prêche du vendredi) à l’âge de quatorze ans et demi, et son père l’autorisa à enseigner la Loi sacrée de l’Islam quand il eut atteint sa vingtième année. 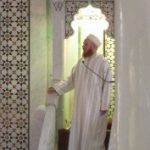 Shaykh Muhammad est père de trois enfants et réside depuis plusieurs années à Rabat, au Maroc. Sheikh Muhammad al-Yaqoubi är en framstående, internationellt känd syrisk lärd, vars ord har förvandlat tusentals människors liv. Han arbetade som föreläsare i Umayya-moskén i Damaskus och höll fredagspredikan i Al-Hasan-moskén i Abu Rummaneh, tills han avskedades och belades med talförbud p.g.a. sitt stöd till det syriska folket och sin kritik mot Asad-regimen. Han lever numera i landsflykt i Marocko. Född den 5 maj, 1963 i Damaskus, Syrien. Shaykh Muhammad Abul Huda al-Yaqoubi är en världsberömd islamisk lärd, tänkare och visionär med en encyklopedisk kunskap. Han kommer från en familj av religiöst lärda, som migrerade till Damakus efter motståndet mot den franska kolonisationen i Algeriet. Familjen Yaqoubis släktträd går tillbaka till Profeten, salla Allahu aleihi wa sallam, genom hans barnbarn Sayyiduna al-Hassan, radhiya Allahu ‘anhu. Deras anor går också tillbaka till Mawlay Idris al-Anwar som byggde staden Fes i Marocko. 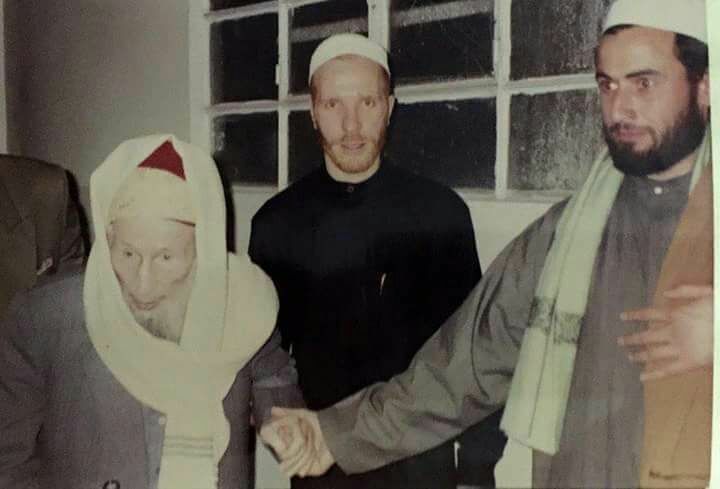 Från denna familjen kom Syrien att få se några av dess mest prominenta lärda; Shaykh Sharif al-Yaqoubi (d. 1943) som var hans fars farbror, och Shaykh Muhammad ‘Arabi al-Yaqoubi (d.1965) som var hans fars morbror – Båda erhöll positionen som imamer representerade den malikitiska rättsskolan i den berömda Umayyad moskén. Hans egne far, och lärare, Shaykh Ibrahim al-Yaqoubi var en av de mest framstående lärda i de religiösa vetenskaperna som Syrien frambringat de senaste femtio åren – även han var verksam som imam och lärare vid Umayyad moskén. 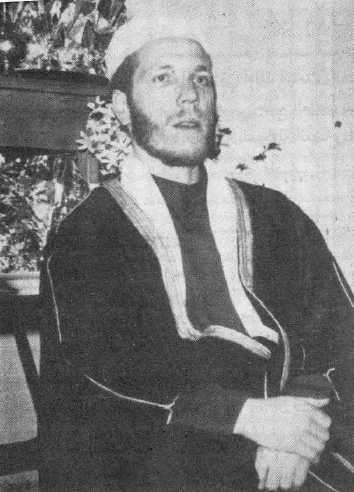 Shaykh Muhammad Abul Huda al-Yaqoubi föddes i Damaskus den 13:de Dhul-Hijjah 1382 H. (5 maj, 1963). Från de allra tidigaste åren i hans barndom gjorde han sin far sällskap under samtliga av hans föreläsningar och olika sammankomster – både offentliga och privata sådana, i hemmet och utanför. 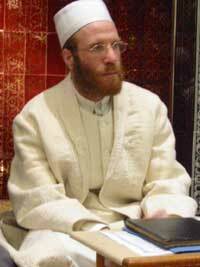 Shaykh al-Yaqoubi innehar flera ijazat (tillstånd) att lära ut andlig och religiös kunskap, att återberätta och utfärda juridiska utlåtanden under islamsk lag (Shariah). – Efter att Shaykh al-Yaqoubis far tränat honom i den andliga vägen (Tasawwuf) fick han tillstånd att verka som murshid (andlig vägledare). – Shaykhen erhöll dessutom flera ijazat i att lära ut de religiösa vetenskaperna av sin far. – Shaykh al-Yaqoubi har även tilldelats ijazat av flera framstående lärde i Syrien, inklusive: den malikitiske muftin av Syrien Sayyid Makki al-Kittani och den hanafitiske muftin av Syrien Muhammad Abdul Yusr Abidin, den store murshid Ali al-Boudaylimi från Tlemcen, Abdul Aziz Uyun al-Sud och Salih al-Khatib. – År 1991 skrev Shaykhen in sig på det lingivistiska fil.dr-programmet på Göteborgs universitet, där han också arbetade som forskare och lärare i klassisk arabisk litteratur. Shaykhens kunskapsområde vad beträffar de traditionella religiösa vetenskaperna omfattar bl.a. teologi, Koran- och Hadith-kunskap, fiqh (jurispundens) och usul (metodologi) och arabisk grammatik. Vid 11-årsåldern började Shaykhen undervisa i Koranstudier på Darwishiyya moskén i Damaskus; hans första fredagspredikant höll han som 14-åring i al-Sadaat moskén. När han blev 17 år gammal erhöll positionen som imam och fredagspredikant – tre år senare blev han lärare i islamska studier. 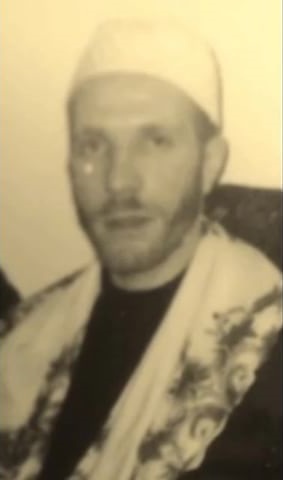 Mellan år 1991 och 2001 har Shaykh al-Yaqoubi arbetat i Kuwait, USA och Sverige. Vidare har han rest runt om i världen för att lära ut religiös kunskap, föreläsa och informera om Islam; han har besökt flera platser i Nordamerika, Europa, Fjärran östern och andra delar av den arabiska världen. Han har också arbetat för intereligiösa dialoger och deltagit i debatten om olika politiska och sociala förhållanden och orättvisor. I Kuwait arbetade Shaykhen som forskningsredaktör på Dar al-Athar al-Islamiyyah, och mellan år 1998-1999 som biträdande direktör för forskning och studier. Shaykhen var bland de första [bland de islamska lärde] att tala ut om den syriska regimen (20011) och har intagit en ledande roll i framtidens Syrien. Utrikesministrar, dignitärer och politiska tankesmedjor från världens alla hörn har sökt hans råd och vägledning. Den nobla Shaykhen har deltagit i den global insatsen som propagerar för en fredfull övergång till demokrati och stabilitet genom regelbundna intervjuer med ledande TV-presentatörer, organisationer och journalister. Shaykh Muhammads huvudfråga och främsta fokus under år 2013 har varit den pågående, växande humanitära krisen i Syrien. Shaykhen undervisar på några av Damaskus mest framstående institutioner, där han också har sitt residens. 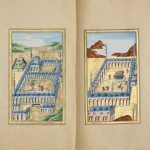 Han lär ut ‘Aqidah (teologi) i Umayyad moskén, innehar positionen som Jumu’a Khatib (fredagspredikant) på Jami’ al-Hassan moskén, Shaykh Muhyiddin Ibn Arabi, och undervisar epistlet al-Risalah av Imam al-Qushayri och den berömda al-Shama’il al-Muhammadiyyah av Imam al-Tirmidhi. SKT-Welfare är en ideell välgörenhetsorganisation, som arbetar under vägledning av Shaykh Muhammad al-Yaqoubi. Med sin djupa insikt i den syriska saken kan han förmedla det syriska folkets behov och interna situation till välgörenheten. År 2012 listades Shaykhen bland De 500 mest inflytesrika muslimerna av Georgetown universitets Prince Alwaleed Bin-Talal Center for Muslim-Christian Understanding och Royal Islamic Strategic Studies Centre. Han har studerat och talar ~7 språk, bl.a. engelska, franska, tyska och svenska.